Hoof-like crusty fungus on dead confier Antrodia? Observation - Hoof-like crusty fungus on dead confier Antrodia? - UK and Ireland. Description: Overlapping hoof-like tiers growing on standing dead conifer. 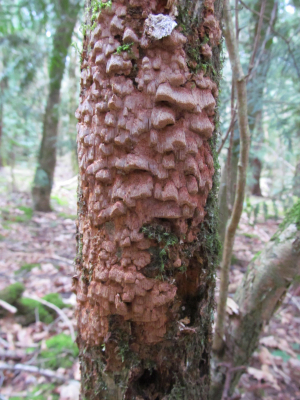 Overlapping hoof-like tiers growing on standing dead conifer.